Born and raised in Shanghai, China, Maggie has been practicing real estate in Hawaii since 2005. With a dual background in business and agriculture, her specialties include investment real estate, large acreage, and luxury homes. 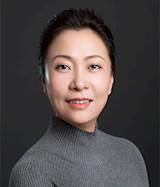 Maggie is fluent in English, Mandarin, and Shanghainese, allowing her to smoothly navigate a multitude of transaction types involving clients of diverse ethnic and national origins. Her knowledge of the islands is substantial, and she prides herself on making the purchase and sale of real estate an enjoyable and educational process. She is currently pursuing an advanced business certificate through Tsinghua University in Beijing, and travels to Asia frequently on business.